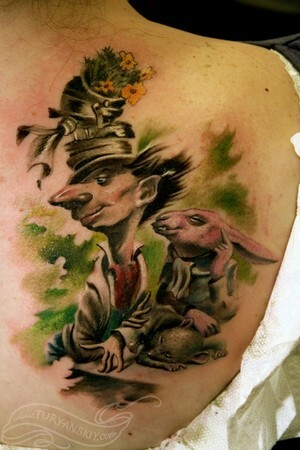 Comments: Color alice in wonderland movie tea party mad hatter tattoo. About 6 hours. 2009.